In September of 2013, SafeStitch Medical (SFES) completed its merger with formerly private TransEnterix, a North Carolina-based company that develops minimally invasive surgical devices. SafeStitch Medical develops medical devices that are focused towards treating obesity, hernias, and gastro-esophageal reflux disease (GERD), with an emphasis on minimal invasiveness. The synergies between TransEnterix and SafeStitch are abundant, and the newly formed company that raised $30.2 million in a private equity offering last month has ample room to develop and market its two potential blockbuster products, the Spider Surgical System and the Surgi-Bot. The technology behind the Spider System that TransEnterix is bringing to the market is disruptive, and will surely give Intuitive Surgical's (ISRG) da Vinci System a run for its money. TransEnterix's experienced management, superior technology, and the deep pockets of insider Dr. Phillip Frost make this stock primed to record massive gains in the coming years. TransEnterix, which will formally change its name and ticker from SafeStitch Medical pending shareholder approval, has many exciting products under development. The AMID Stapler, Transluminal devices used to correct GERD and obesity, the Spider Surgical System, and the Surgi-Bot all provide significant shareholder value that is not yet reflected in today's share price of $1.40. The technology behind these devices is ground breaking, and has already impacted the lives of many. The AMID Hernia Fixation Device is already on the market, and is used for Inguinal and Ventral Hernia repairs. The minimally invasive device is fast and easy to use for surgeons, and reduces post-operative pain for patients. The device conveniently manipulates and fixates mesh that is implanted into the patient, staples the mesh into place, and closes the skin. The device could help reduce the invasiveness of the approximate 950,000 hernia surgeries that occur in the US annually. The AMID device was introduced in the middle of 2012, and sold a meager 126 devices. The company sold 93 AMID Staplers for the first six months of 2013. With revenues of only $17,000 for the first six months of 2013, the AMID Stapler has an extremely low price point. Currently, this device is a non-factor for TransEnterix, and even if the company sold its existing inventory of 5,700 units, the revenue generated would be minimal. However, The AMID Stapler still has plenty of room to grow, and the technology behind the device is impressive. SafeStitch has been developing Transluminal devices to restrict gastric acid reflux disease, and decrease obesity, all through a minimally invasive, and usually incision-less procedure. This is an outpatient procedure that is safer, less expensive, and allows faster recovery time when compared to current surgery treatments. The results from the company's human trials are promising. After performing GERD surgery on 7 patients in a preliminary clinical trial, patients reported positive findings. After a two-year follow up, all patients experienced significant weight loss and an overall reduction in GERD (30%-60% reduction for two patients). The procedure is performed via the mouth, instead of opening the abdomen, which is extremely expensive and can be life threatening for obese patients. Treatment of GERD in the pharmaceutical industry is a multibillion-dollar market alone. There are more than 400,000 weight loss procedures, and 250,000 GERD procedures performed every year. The company plans to expand its pilot study this year, and plans to seek FDA approval thereafter. The potential behind TransEnterix's GERD procedure casts a giant shadow over the AMID stapler, and can significantly contribute to the company's bottom line if commercialization commences. TransEnterix has a line of products that are either under development, or are fully developed and have already been approved for sale. Some of these products have been approved for years, with the company continuing to explore commercialization options. The revenue contribution behind these devices would likely be insignificant, but they are worth mentioning. The Barrett's Excision and Strip Mucosal Device has a target market of 11 million patients, the Smart Dilator has a target market of 2 million annual patients, the Retention Bite Block has a target market of 20 million annual patients, and the Airway Bite Block has a target market of 5 million annual patients. While these devices cover a large, diverse market, I believe management is more focused on developing and commercializing their more advanced devices, and therefore, will not pursue these complementary products for the time being. The Spider System is a revolutionary surgical platform that allows for nearly scar-less abdominal surgery. The device has already been CE marked and FDA approved, and launched in 2010. The surgeon makes a small incision in the patient's belly button, about the size of a dime, and then inserts the Spider System, which opens up like an umbrella and deploys a camera and two super flexible arms that offer an array of tools, control, and functionality for the surgeon. The platform is unreal, and still seems quite futuristic to me, especially after viewing this video. The flexible arms that are deployed in the patient's abdomen allow the surgeon to precisely manipulate 360-degree rotating instruments at several different angles, which improves the accessibility and dexterity of the operating site. 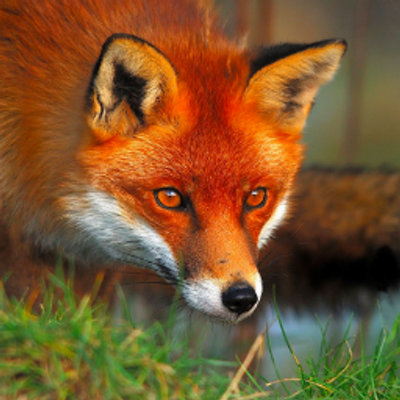 The ability to approach an operating site at a triangular angle is something that has only been achieved through multiple incisions that are strategically located around the patient's abdomen. Never before has a device been able to achieve this functionality through one small incision. Intuitive Surgical's da Vinci system requires up to 5 separate incision sites for their procedures. The advantages of having fewer incisions include less scarring, less pain, and a faster recovery time for the patient. The Spider System is safe, effective, and has already been deployed by surgeons worldwide to treat obesity and a variety of other health complications. The Spider System has already changed the lives of hundreds, and testimonials from patients talking about their experience with the device can be found here. Just last month, Dr. Michel Gagner, an internationally renowned surgeon, used the Spider System to successfully perform a mini-gastric bypass. Dr Gagner is the president of the 2014 World Congress of the Society for Obesity and Metabolic Surgery. Promotion of the Spider System and its associated advantages from within the surgeon community will help increase the awareness of the product and help speed up its adoption rate. The Surgi-Bot is TransEnterix's first step into the robotic surgery market, and while CEO Todd Pope claims that this is not a direct competitor to Intuitive Surgical's da Vinci System, it blows it out of the water. 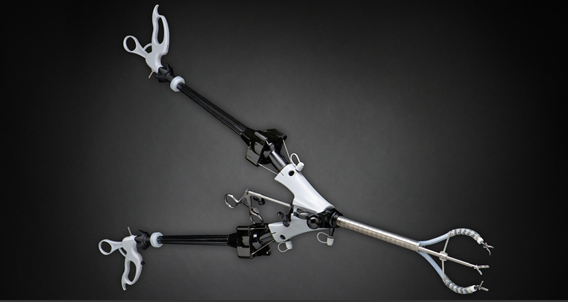 The Surgi-Bot is an extension of TransEnterix's Spider Surgical Platform, and adds the functionality of patient side robotic control, which increases the strength, leverage, and accuracy of the device and its functionality. Patient side is the key word. Instead of the surgeon conducting surgery in a "Surgeon Cockpit" that is sometimes placed in an entirely separate room from the patient, the surgeon controls the Surgi-Bot system right at the patient's side. This ensures a more connected operation that gives the patient more confidence about the procedure because their surgeon will be by their side throughout the entire surgery. The Surgi-Bot is still deployed through a single incision in the belly button, about the size of a dime. The Surgi-Bot is currently in late stages of development, and the company expects to receive FDA market clearance sometime in 2014. The robotic system is designed to be able to move from room to room, provide high-def 3D vision, and will be less expensive than the da Vinci's price tag of $1.5+ million. This is extremely appealing to hospitals looking to utilize robotic surgery without the high costs and large footprint associated with today's current offerings. Intuitive Surgical generated annual revenues of $2.1 billion in 2012. 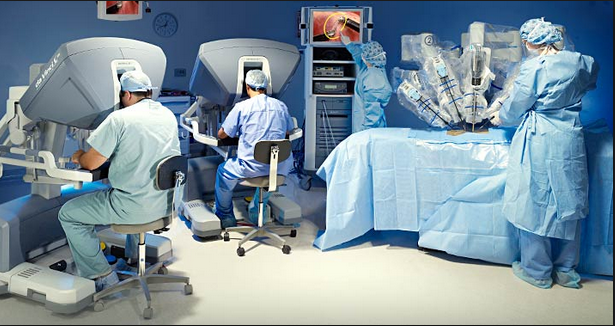 The robotic surgery market is expected to grow upwards of $20 billion by 2019; the global market for minimally invasive surgical devices is expected to reach $35 billion by 2016. The growth potential for TransEnterix is massive, and the company is looking to quickly capitalize on the market, expecting to launch their Surgi-Bot immediately after they receive clearance for the device sometime in 2014. Investors seeking to buy in at the current price levels should be prepared to sit on their investment for the long term. Currently, the main competitor to Transenterix's Spider System, and prospective Surgi-Bot, is Intuitive Surgical. Intuitive has dominated the surgical robotic market, and has a recurring revenue stream from its customers that include annual service agreements and instrument and accessory replacement. The da Vinci system is expensive, bulky, and straight up scary. There have been reports of terrible malfunctions during procedures with the da Vinci system, which have been deadly. In one report, one of the robotic arms abruptly swung and hit a patient in the face. Another report described one of the robotic arms failing to let go of grasped tissue during an operation. These freak accidents, and an uptick in reports of death, have caused the FDA to launch an investigation into the system. Lawsuits will soon follow. Despite the da Vinci System's associated problems, more than 400,000 surgeries were performed on the platform last year. This number continues to grow. The system costs anywhere from $1-$2.3 million, annual service agreements range from $100,000 to $170,000, and the instruments cost upwards of $2,000 per procedure. These high costs are great for Intuitive and terrible for hospitals. The slow adoption rate for the da Vinci System is attributed to its high initial costs, and size. The device is a monster, and takes up a large amount of space. TransEnterix has a solution to all of these problems. The Surgi-Bot is mobile, affordable, allows patient side operation, and only requires one small incision. These advantages will shout out to surgeons, hospitals, and patients alike if the device is approved in 2014. 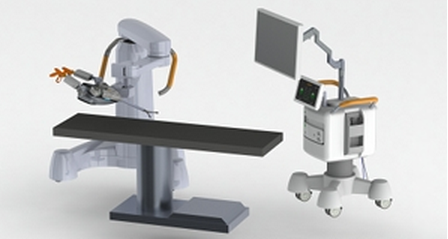 Other companies in the robotic surgery market include MAKO Surgical, Accuray, and Hansen Medical. The future success of TransEnterix and their groundbreaking technology depends on the execution of management, and the ability to raise additional funds. The management and insiders behind TransEnterix are nothing short of exceptional. Prior to joining TransEnterix, President and CEO Todd Pope was the Worldwide President of Cordis Corporation, a multi-billion dollar division of Johnson and Johnson, and held various management roles at Boston Scientific and Liquidia Technologies. Pope's experience of running a massive division within a publicly traded company should quell any fears regarding TransEnterix's ability to successfully transition from a private to public company. Joseph Slattery, former CFO of Baxano Surgical, will serve as the CFO of TransEnterix. Both Dr. Jane Hsiao and Dr. Phillip Frost, of Opko Health, will serve as directors. Raising funds in the future should not be a problem thanks to billionaire Frost. In the recent private equity offering, $10 million came from Frost, Hsiao, and existing SafeStitch investors, while $20 million was raised from existing TransEnterix investors. TransEnterix's investors include many venture capitalist funds, so their pockets run deep, and their confidence is high. Dr. Frost's keen sense of backing strong performing companies makes me think that something big is brewing at TransEnterix. Risks associated with newly merged TransEnterix include the failure to receive approval for their Surgi-Bot in 2014, intense competition from Intuitive and others, and the fact that the company has yet to turn a profit and has an accumulated deficit of more than $100 million. However, if management can successfully spread the word and market the capabilities of their technology, then TransEnterix will see a tremendous appreciation in business and their share price. If the Surgi-Bot receives approval and obtains a conservative 20% of Intuitive's market share, I believe shares could be trading north of $9.00. The risk/reward ratio is even more appealing when you factor in the company's GERD procedure, AMID Stapler, and complementary products. Shareholders of Intuitive Surgical should consider selling a portion of their position and investing it in TransEnterix; just think of it as a hedge. SafeStitch 10-K, SafeStitch Presentation, Intuitive Surgical 10-K, Intuitive Surgical Presentation. No Comment to " The Merger Between SafeStitch Medical And TransEnterix: Multi-Bagger Potential "